Chopper 7-HD was over the scene of the school, where multiple fire trucks and ambulances were parked. CHICAGO (WLS) -- Four elementary school students were transported to hospitals Thursday after becoming sick on Chicago's Northwest Side. 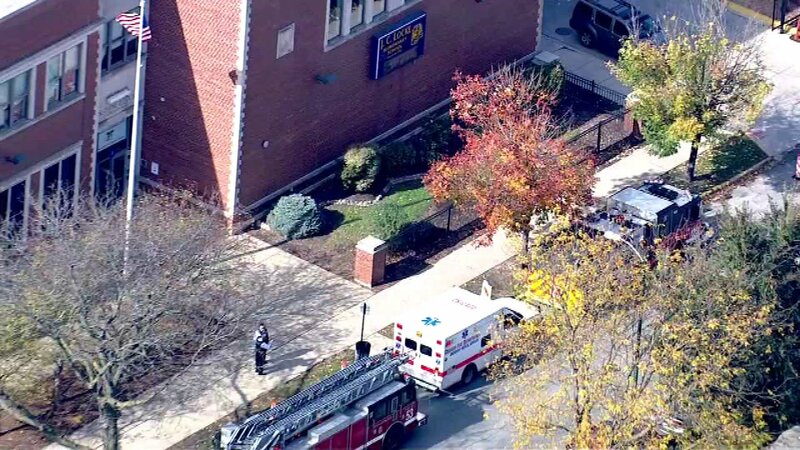 Chicago fire officials were called to Locke Elementary School in Chicago's Montclare neighborhood after multiple students fell ill. The school is located in the 2800-block of North Oak Park Avenue. A total of 10 students were looked at, but only four were transported to hospitals, officials said. There is no information yet as how the students got sick.